The Ciego de Ávila Dairy Industry undertakes an investment process in the Base Business Unit (UEB) located in Morón, the investment aims at replacing and fixing its worn out equipment. 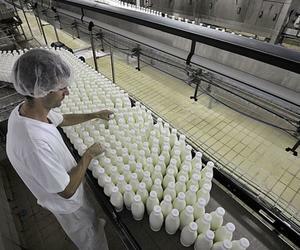 Rubén Pina Ángelbello, provincial director of the Dairy Products Company, informed Cuban News Agency that the objective of the constructive work is to solve sanitary issues affecting the quality and safety of its productions. The milk reception area is being remodeled as well as the storage facilities , such as tanks, homogenizers and chillers of fresh milk, that receive the product directly from the farmers, said Pina Ángelbello. He pointed out that although these appliances exceed three decades of exploitation, the general remodeling, valued at about 150 000 pesos, will return their value in use. Together with this process they work on the reconstruction of the scrubbing areas and the arrangement of the sanitary filters, which will guarantee to reduce the pollution from the outside, he said. While these tasks are being carried out, the UEB of the city of Ciego de Ávila will assume the processing of both units, said Pina Ángelbello. The livestock sector has installed 38 terms in some municipal headwaters so as to contribute to the quality of milk, both that which comes from dairy farms and that which is pasteurized in the two industries in the province. The engineer Leonardo Perez Rodriguez, a specialist in livestock, explained that they plan to mount new refrigeration equipment to complete the collection network, and to reach all points of collection. Jeinict Cruz Álvarez, a specialist in the Provincial Delegation of the Ministry of Science, Technology and Environment, said that the Milk Company in the province is one of the entities that give priority to saving water in its production processes.